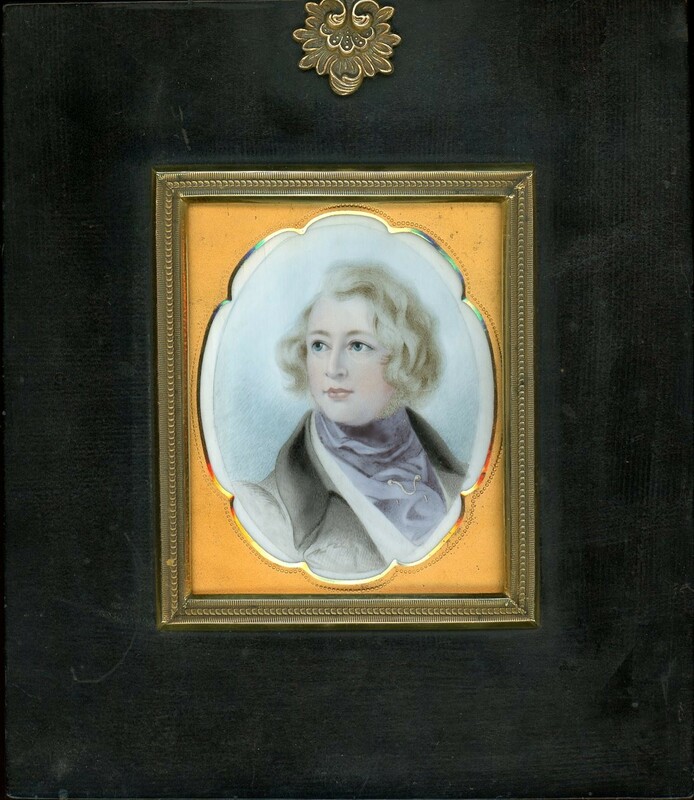 Charles Dickens is one of the best known and most read Victorian novelists; his fictional characters are as much loved today as they were when they first appeared in monthly instalments. 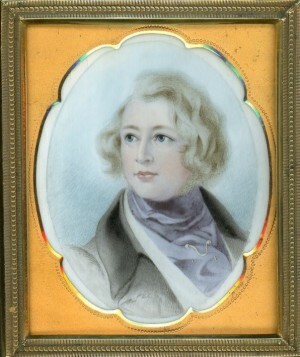 Daniel Maclise’s oil portrait of his friend as a young man, upon which this late nineteenth century miniature is based, was painted in 1839 and showed Dickens seated by a window in his study with his books and writing materials. It is currently on display at the National Portrait Gallery in London. For this version, the miniaturist has used a softer palette, lightening the hair colouring from dark to mousy brown. It nonetheless retains a good likeness of the author. 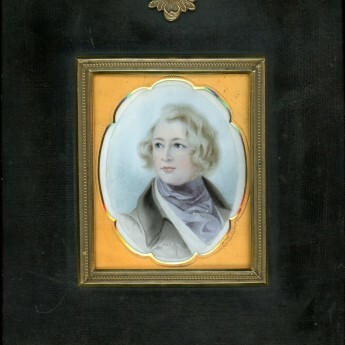 Watercolour on ivory set with a shaped metal mount within a period papier-mâché frame with a decorative brass surround and floral hanger. Fine condition.